The Most Reliable DID Number Provider - Try One Free for 15 Days! Direct Inward Dialing (DID) numbers are virtual phone numbers (also known as SIP trunk numbers) that enable you to route calls to your existing telephone lines. DID numbers are used to assign direct numbers to specific members in the team, without the need of multiple physical telephone lines. They are phone numbers with intelligence that can help you manage calls the way you want to. The simplest way that businesses make use of DID numbers in India, is to route incoming customer calls. When a customer calls the business, they hear an IVR greeting that asks them who they want to speak to and forwards their call to the right agent based on their inputs. DID numbers makes it easier for business to monitor the calls for performance analysis – track the number of calls missed, the turnaround time of an agent, time spent on call and customer call recordings. Why does your business need a DID Number? Automatically redirect incoming customer calls to the right agents based on their inputs through an IVR. No more having to juggle multiple phone numbers. All the calls are routed via a DID number (s) and kept track of. Use this information to resolve disputes and confusions in customer conversations, easily. A professional image for your business and a good rapport with customers. All without burning a hole in your pocket. Keep a close watch on the incoming calls, calls missed, customer conversations, agent performance and optimize for better results in no time with a DID number. Your entire team can be connected to a single number. No more losing customer information, trying to juggle across multiple phone numbers. Scale as you go, without having to worry about infrastructure bandwidth. No limit on channels or the number of parallel calls. A single system to manage all your customer communication. Keep track of all incoming calls and conversations from a unified dashboard. One DID number is all you need. Completely customise the system to suit your business needs and cut additional costs instantly. Don’t worry about the infrastructure or maintenance of your DID number. Scale as you grow easily and pay as you go! A DID number easily integrates with other cloud softwares, making customer relation management (CRM) efficient. A DID number or virtual number is a phone number that does not have a direct phone line associated with it. Using a DID number in India, you can route calls to one or many physical phone numbers (landline or mobile numbers). 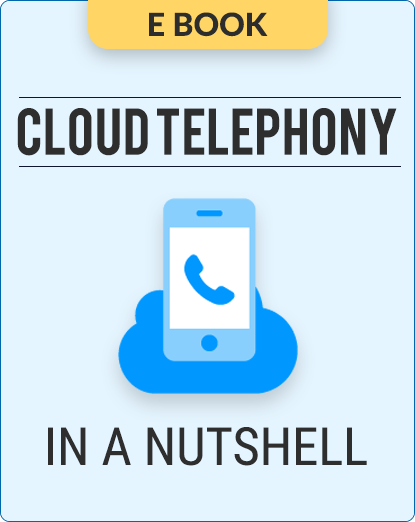 To put it simply, it is a number on the cloud that requires no equipment to get started. With Exotel, DID numbers or Exophones can work in two ways: 1. Get a virtual number and use the system: In case you are wondering how to get a virtual phone number in India, the customer signs up for an Exotel account, provisions a virtual telephone number, and publishes this on his website.2. Use your existing number & forward calls to the DID number: Quite often, customers want to keep their personal numbers as the customer-facing number. In such cases, provision an Exophone (DID number) and then use their own phones to forward all calls to the virtual number. Why do businesses use a DID number? The cost for the DID number service is based on your usage. Contact us to get a detailed description of the pricing for your requirement.